Minibus hire Birmingham and Solihull. TC cars supply driver operated minibuses. We offer a high quality service covering Solihull, Birmingham and the West Midlands. We can cater for all your minibus requirements, so why not contact us today? Call us on 0121 770 2000 or alternatively use our quick quote system. Minibuses are used for many purposes from school trips, airport transfers or even just family breaks. Whatever your requirements we have a minibus to suit your needs. Why should I choose TC Cars when I’m looking to hire a minibus? 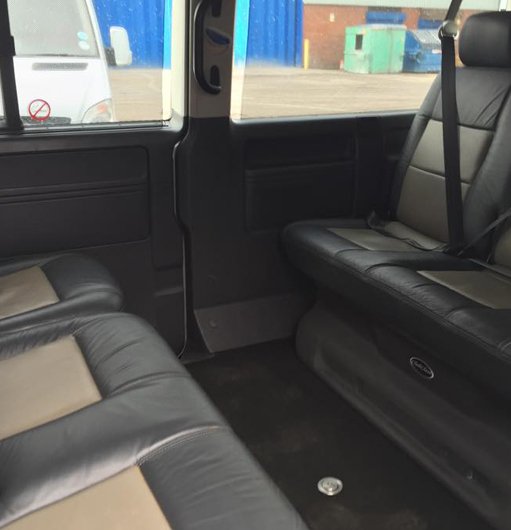 All of our minibuses provide a high level of comfort and safety, and can get you to where you need to be in luxury. If you choose the driver operated minibus you have the peace of mind of knowing that you are being driven by a professional who is fully licensed, has had a CRB check and is qualified in customer service. Taking away the stress, a driver operated minibus means you can relax during your journey. If you are looking to hire a driver operated minibus and would like more information, then please feel free to contact us on 0121 770 2000.